Super R&B Jam is bringing some of the genre's biggest names to Grand Prairie, Texas in February. The Theatre at Grand Prairie will host the night of R&B stars on Saturday, Feb. 23 and tickets are on sale now here at AXS. The concert features Tyrese, Ginuwine, Avant, Donell Jones and 702. Tyrese has been working on a new album called Identity Theft since October 2017, which will be his first rap record. His last album, 2015's Black Rose, was the first album in his career to reach number one on the Billboard 200. 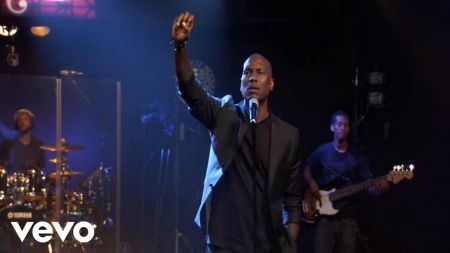 Whether he's playing songs from that well-received album, some of his past hits, or maybe even teasing audiences with a sample of what might be on the next record, Tyrese's set is one that R&B fans will want to hear. Play the video above to sample one of his live performances. Ginuwine has been collaborating with other artists, and has likewise been working on a new album; he posted a teaser to YouTube back in 2015 but the record has yet to be released. He still remains one of the best-known names on the R&B scene; the video for his single "Pony" has more than 70 million views on YouTube. Like Tyrese, he's got plenty of hits to play. And since Ginuwine and Tyrese previously joined forces as two-thirds of the R&B group TGT, perhaps they'll consider sharing the stage at Super R&B Jam. Avant has had all but one of his albums reach the top ten on Billboard's Top R&B Hip-Hop Albums Chart, while Donell Jones had his last album Forever reach the top 20 on the Billboard 200. Add to that the return of American Music Award-nominated girl group 702 (who were nominated for Favorite Soul/R&B New Artist the year that Tyrese won it), and Super R&B Jam is bringing together several artists whose music has won over plenty of R&B fans. This one night only event is the chance to see them all in one place. These are acts that helped shape the modern R&B genre, and they'll all come with classic hits to perform and they've all continued to evolve as artists. Anyone who has an appreciation for the genre or wants to catch up with some of these big names should snag their tickets to Super R&B Jam right away. It is indeed a super lineup and fans will no doubt be jamming at The Theatre at Grand Prairie. Tickets for Super R&B Jam at The Theatre at Grand Prairie are on sale now through the AXS event page. Ticket prices and more information are available on the event page, where you can also find Live Access Now special offers direct from the venue.